Laura has outdone herself with absolutely incredible stitching on this piece! It almost looks like a photo! The canvas is on 13 mesh, is 18” x 25” and filled with lots of beautiful threads, stitches and unique techniques, including stumpwork. The candles will glow when the piece is complete! There is a non-refundable deposit of $400 required to register. Balance of $1,055 includes the cost of all materials needed and is due on first day of class or or can be made in 4 payments. Call 313-886-2828 to set up the payment plan. Materials Included: All materials are included. If you register before March 15th you will receive the Stitch Guide and other supplies FREE! Requirements: Cancellation Policy: Registration fees are not refundable and cannot be transferred to another class. Any canvas, threads, stretcher bars or supplies purchased for the class are subject to our normal return policy, unless they were specially ordered just for the class. Canvas, threads, stretcher bars or supplies purchased specifically for this project class are not refundable within six weeks of the first day of class. 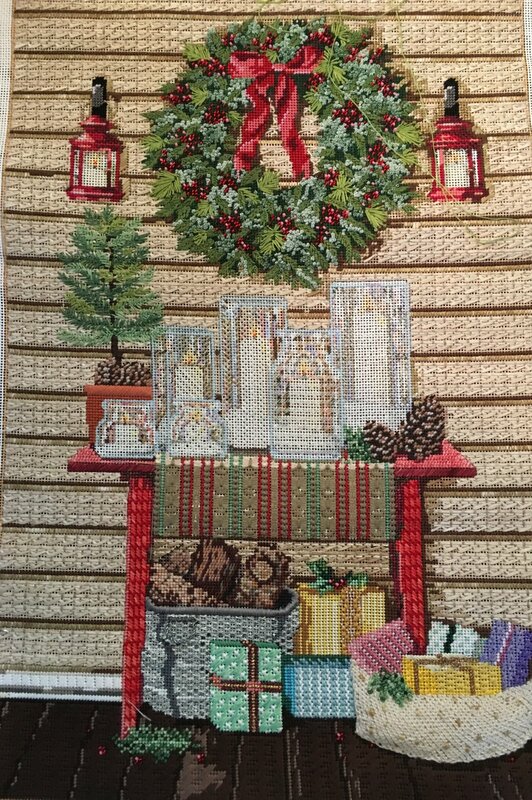 Instructor Bio: Laura's interest for needlearts began as a young girl when she sat alongside her Grandmother crocheting, sewing, needlepointing, quilting and cross stitching. While she continued to enjoy all of these crafts, Laura decided to direct her education to two dimensional art and earned her degree in Graphic Design at California State University Northridge. That design background finds its way into every canvas that Laura works on with her love for color, texture and balance uniting to enhance her approach to the piece. Laura is a passionate teacher who collaborates with each student to bring out their personal best. She teaches weekly needlepoint classes at Aristeia Needlepoint in Santa Monica, California. In addition, Laura teaches workshops and project classes, canvas interpretation, private lessons and her own unique method classes ?Themes and Schemes for Amazing Needlepoint? at needlepoint shops across the nation.